With the weather getting warmer (finally) in Western Washington my mind has been drifting to fresh clean flavors. 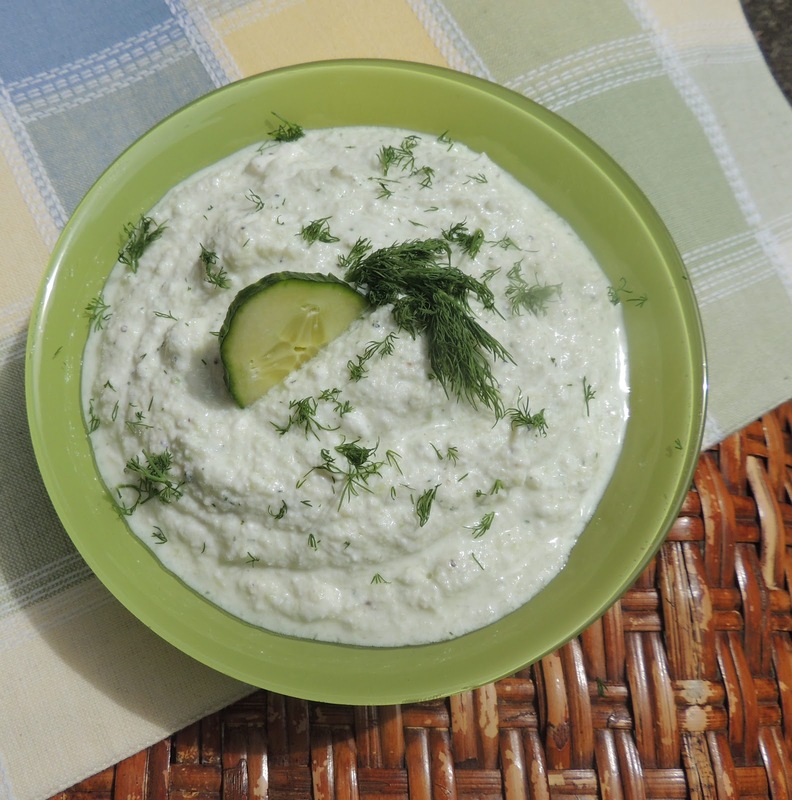 One of the things I love about Greek food is the flavors and tzatziki sauce is one of my favorite things. 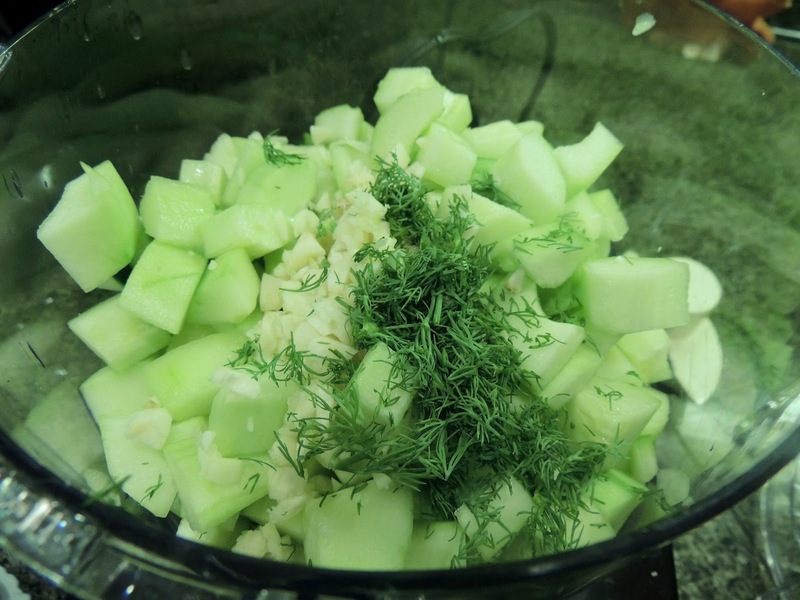 The taste of fresh cucumber and dill with a little pop of garlic? Mmmm so good. So now I have been trying to come up with a few Greek inspired meals. One of those meals will be a Greek burger for #sundaysupper. If you don’t follow me on Twitter give me a quick follow and keep an eye on that hash tag this Sunday. You will find so many wonderful recipes, many of which get picked up for the top 9 on Foodbuzz. It is wonderful being included in such a terrific group of bloggers. 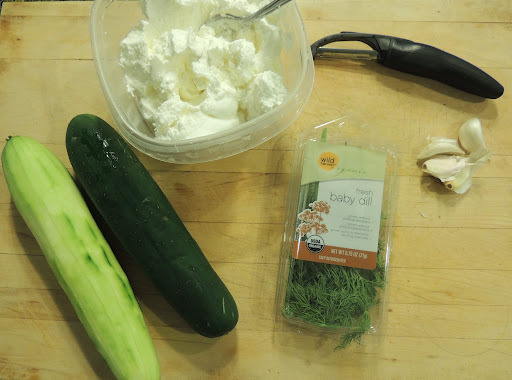 So today’s post is the sauce that is part of many a delicious Greek meal. Tzatziki sauce. This recipe couldn’t be simpler and is so flavorful. 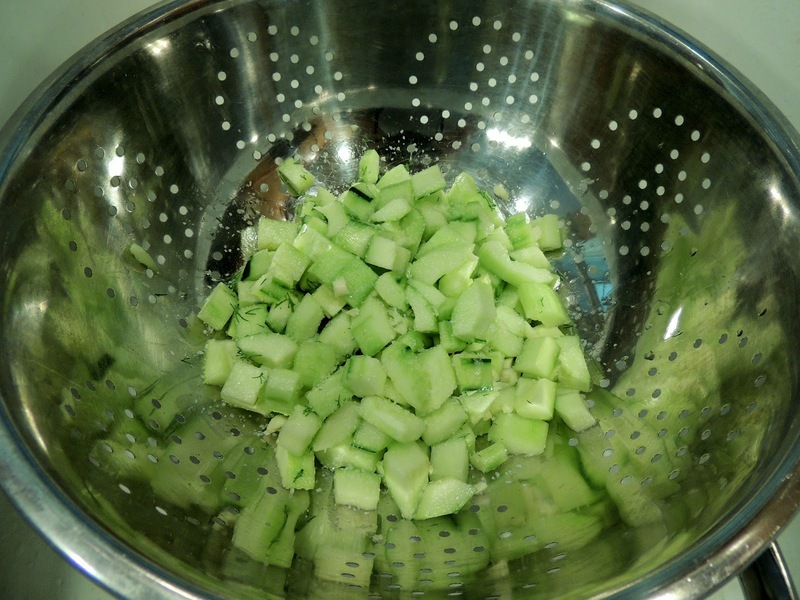 You can use it on burgers, chicken, sandwiches, or even just dip fresh vegetables in it for a snack. It is very healthy as well. It calls for Greek yogurt, but you can use regular yogurt if you can’t find Greek style. You just have to drain it first. 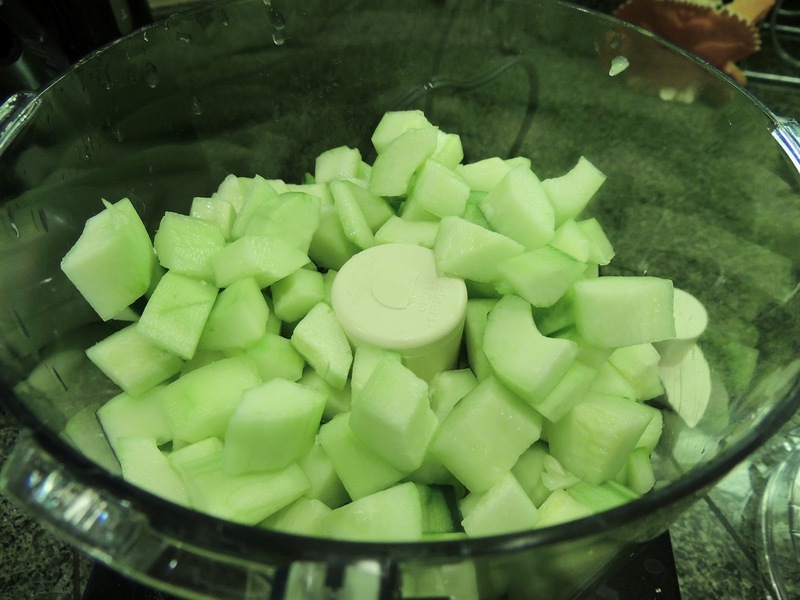 Place it in a strainer lined with cheese cloth over a bowl and allow it to drain for a couple of hours to get as much liquid out of it as possible. Gather your cast of characters. 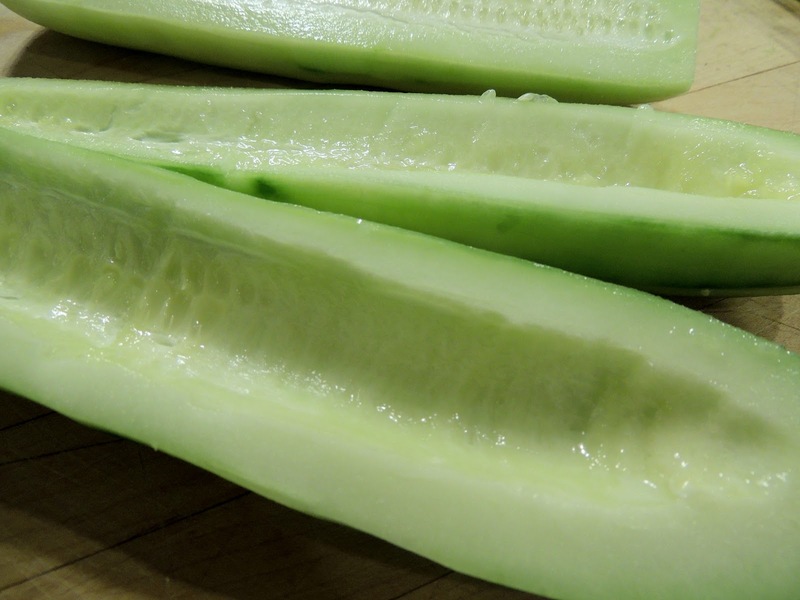 No that isn’t a weird cucumber, I just started peeling before I took the picture. I get carried away sometimes. 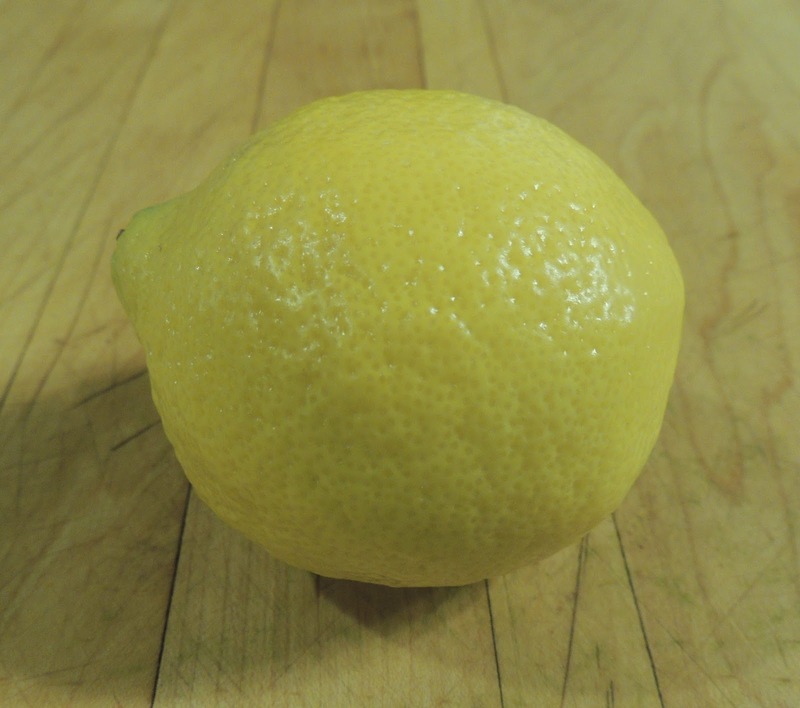 Oops don’t forget the lemon!